Heat the oil in a non-stick frying pan. Cook the vegetables for approx. 4 mins., stir in the ham. Crack the eggs, mix with milk and cheese, season, pour over the vegetables. Cover the mixture and leave to solidify over a low heat for approx. 10 mins. 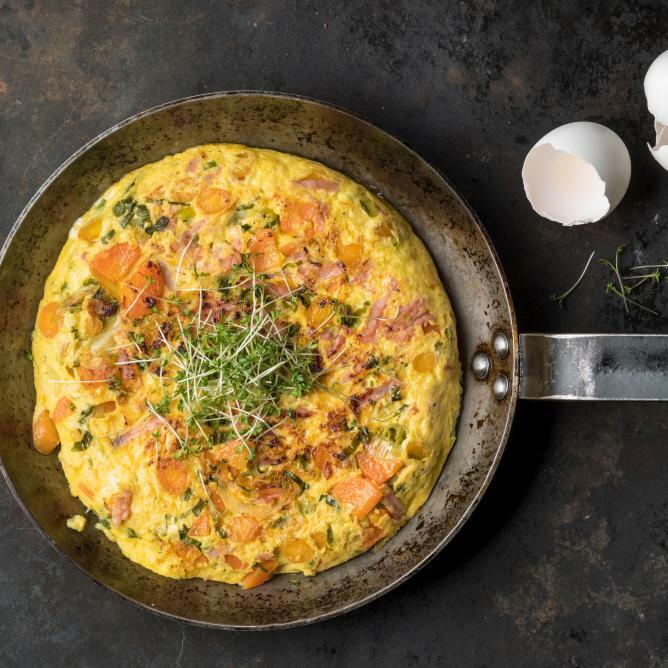 Place a flat plate on the pan, tip the frittata out onto the plate, then slide back into the pan and cook uncovered for approx. 5 mins. more. Scatter over the cress.